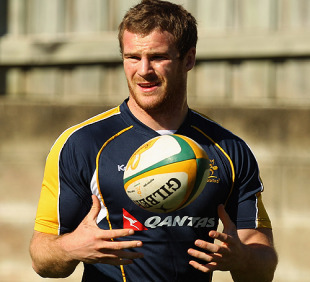 Brumbies winger Pat McCabe has been ruled out of the Australian Sevens squad for the Commonwealth Games in New Delhi with a knee injury. McCabe, the Super 14, rookie of the year, is joined on the sidelines by Brian Sefanaia, who has a medial ligament tear. The duo have been replaced by Shaun Foley and Ed Jenkins. "I'm extremely disappointed, and more so to be missing out on the rare opportunity to represent Australia at the Games," McCabe said. "To miss the experience of staying at the athlete's village alongside some of the world's best and potentially missing out on winning a gold medal is extremely disappointing." In positive news for the squad, Western Force winger Nick Cummins has been cleared to take part in the Games despite picking up a shoulder injury while playing for Randwick in last weekend's Shute Shield semi-final win over Eastwood. Both McCabe and Cummins travelled to South Africa with the full Australia squad during the Tri-Nations as injury cover.